Ron Hynes The legendary Singer/Songwriter from Newfoundland commonly refered to as The Man of a Thousand Songs.Hynes was born in St. John’s in December 1950, and raised in Ferryland. 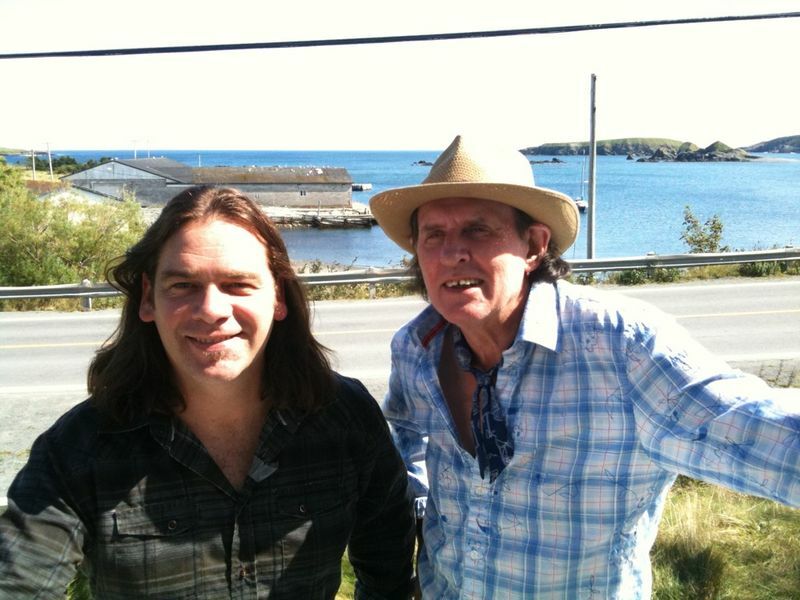 He was a founding member of The Wonderful Grand Band, one of Newfoundland’s most popular performing groups, and has released seven solo albums. His debut album, Discovery, released in 1972, was the first album composed of totally original content by a Newfoundland artist. 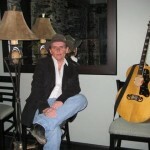 Hynes is a seven-time East Coast Music Awards winner, and past Juno and Canadian Country Music Awards nominee. 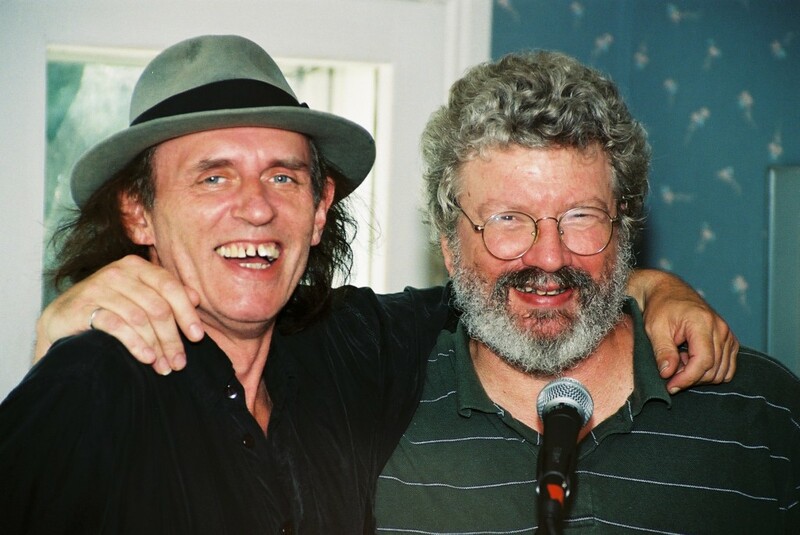 He was named Artist of the Year (’92) and was presented with the prestigious Arts Achievement Award (2004) by the Newfoundland/Labrador Arts Council. 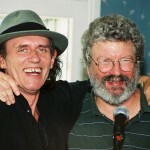 In 2002, Hynes received an honorary Doctor of Letters from Memorial University in St. John’s in recognition of his original songwriting and his contribution to the cultural heritage of Newfoundland. 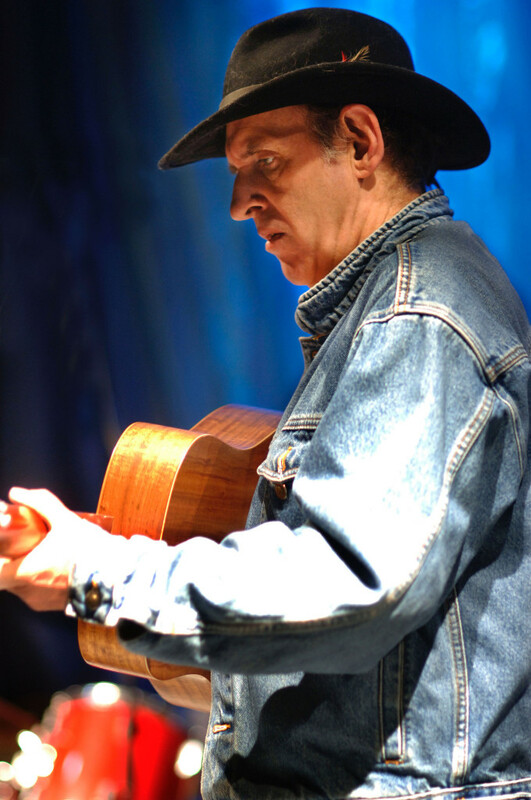 In 2006, Hynes was honored as the recipient of the St. John’s Folk Arts Council’s Lifetime Achievement Award.Ron Hynes continues to tour regularly each year while playing numerous concerts in his hometown of St. John’s, Newfoundland. 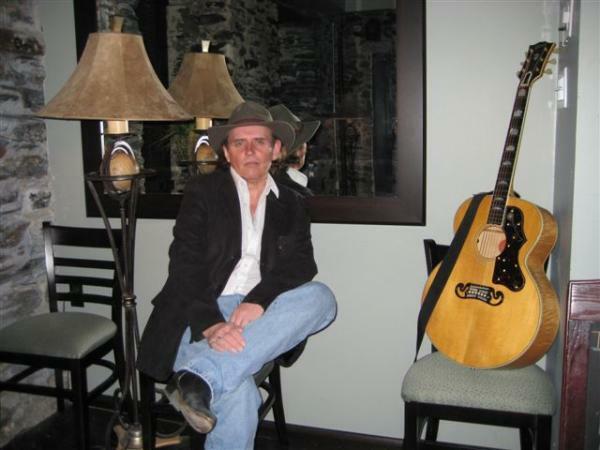 Widely regarded as one of Canada’s premiere singer-songwriters with a career spanning over 30 years, Hynes’ songs have become part of the fabric of Newfoundland culture. His latest, self-titled album was released in early 2006 to critical acclaim. 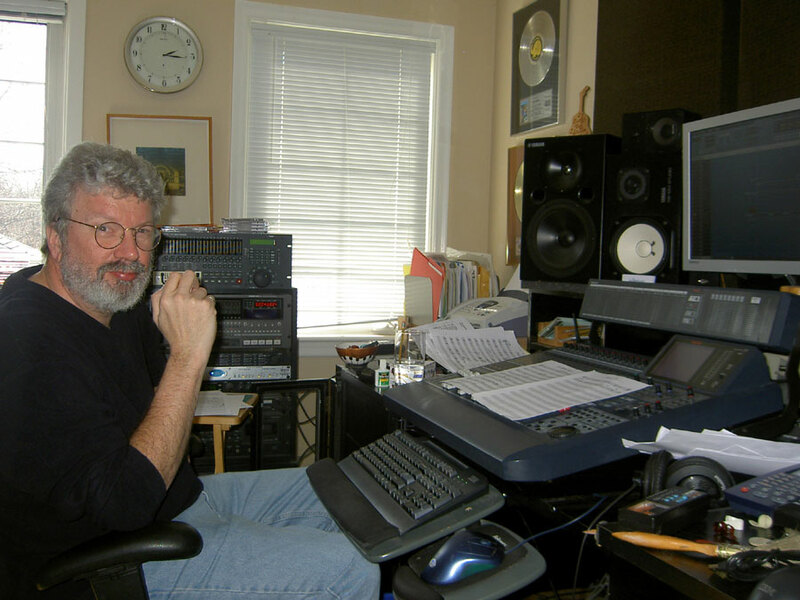 His work is also known outside the province; Hynes’ songs have been covered worldwide by over 100 artists, including Emmylou Harris, Valdy and Christy Moore. Most recently, Hynes was the winner of Male Solo Recording of the Year at the 2007 East Coast Music Awards, and picked up three awards at the 2006 MusicNL awards show in November 2006. The awards included Entertainer of the Year, Songwriter of the Year and Folk/Roots Artist of the Year. 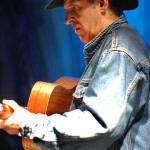 In July 2012, it was announced that Ron Hynes was suffering from throat cancer. 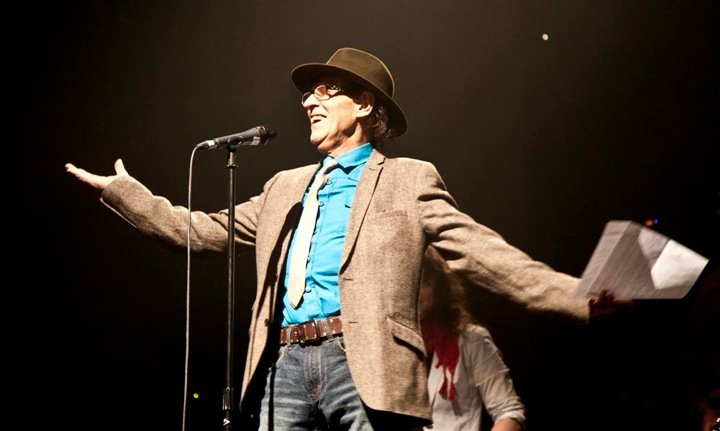 On August 11, 2012, Hynes performed to a sold-out crowd of more than 3,000 at the Mile One Centre in St. John’s Saturday night, his last performance before undergoing cancer treatment. 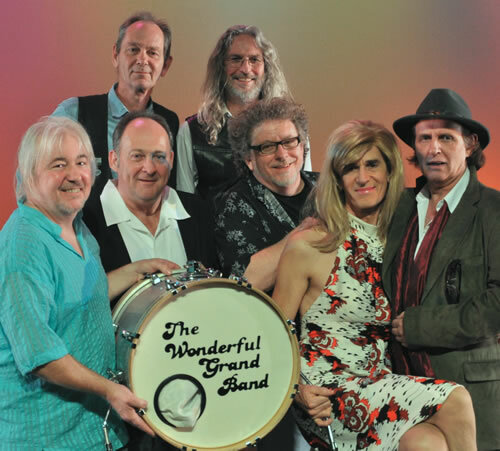 The concert included a reunion of Hynes’ old band, The Wonderful Grand Band. In the fall of 2013, he was in remission and back on tour, including participation in a Vinyl Cafe tour, broadcast on CBC Radio. a New Manager a New Book simply titled “My Name is Nobody” the Love of a Beautiful Woman – “Life is Truly Grand” for The Man of a Thousand Songs so with the success of the re release of “Standing in Line in The Rain” (2014) Ron is now prepared mentally and physically as well as being armed with the songs to record in a way he has not done in the past………..”Just Ron” with very minimal accompaniment as to capture the intimacy of Rons Incredible writing and music, This will be without a doubt be on of Rons Greatest pieces of work – Your Support will be Truly Humbling. $3500.00 Donation – You will receive the “Original” Black and White Charcoal on Paper 16″ x 24″ fully framed and matted with Museum quality non glare UV protected glass. 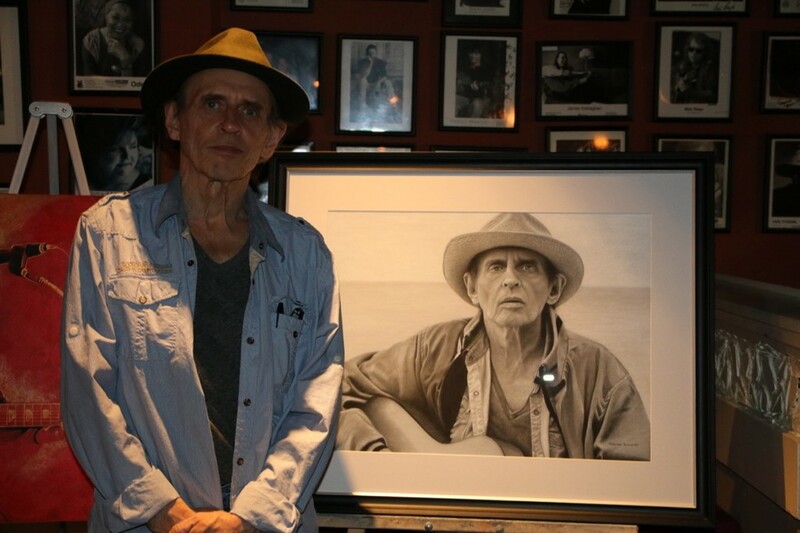 $5000.00 Donation A Private 2 hour Concert in your Home or venue of your choice (transport extra if needed) plus a Ron Hynes Shirt ,Tour Jacket 10 CD’s 10 Charcoal artwork pieces and V.I.P mention on the Cd. 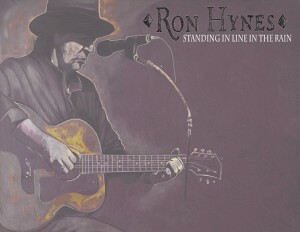 “Standing in Line in The Rain” is truly some of Ron’s greatest work, recorded in the late 90’s with some of the finest players available in Newfoundland. This re mastered version with original artwork is available in a very Limited quantity and being made available online only! Each CD will be personally autographed and hand numbered. Once this has been received you will receive your reservation and payment options. Cd’s are slated to be shipped out mid to late September and will be shipped in the order they were received. Charles do you have a tour planned for 2015? 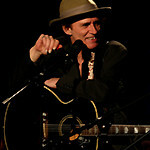 When can we host Ron Hynes > in 2015? 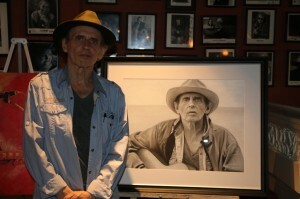 “WATCHING PICASSO” is a song I wrote about seeing a Canadian singer-songwriter named Ron Hynes perform in a little bar in St. Johns, Newfoundland. I was just expecting to hear your basic local pub singer, but instead here is this brilliant songwriter with tons of wonderful and unique songs. I was completely in shock. It was very inspiring to discover someone new like that. Of course, he was only new to me. In Canada he was well known. I walked back to my hotel room that night and was so inspired by the experience that I tried to put it down in a song. I got the words and part of the melody and chords right away. I think it probably took me a year or so to figure out the right chords for the verses though. The rhythm and harmony is somewhat reminiscent of Ron’s style and the music of that area. 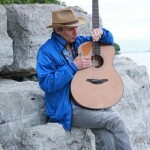 With a songwriting career that spans more than 30 years, Ron Hynes is a six-time East Coast Music Award winner, a Genie Award winner and a past Juno, CCMA and Canadian Folk Music Awards nominee. 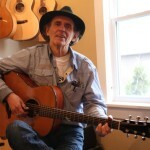 He’s been recipient of both Artist of The Year and the prestigious Arts Achievement Award from the Newfoundland & Labrador Arts Council, as well as a Lifetime Achievement Award from the St. John’s Folk Arts Council. 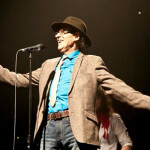 Ron Hynes also holds an Honorary PhD from Memorial University for his songwriting and cont ribution to the cultural life of his beloved home province of Newfoundland (Canada). That summer we began working on “Get Back Change”. It felt comfortable in part because Ron and I had known each other for many years. 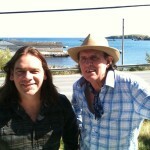 We met back in 1973 when I was working as a music producer for CBC Radio and I produced a four-song EP with Ron. We had run across each other occasionally over the years but this was now the first time we had worked together on an entire album project. It was exciting! 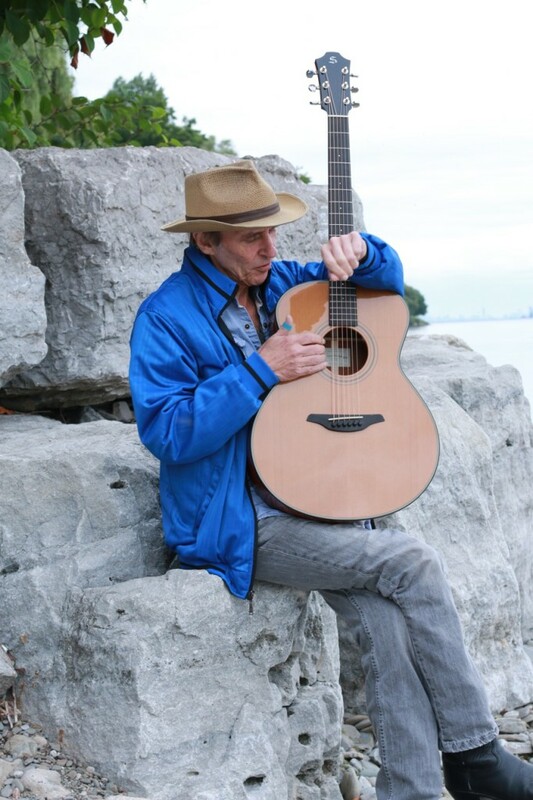 Ron arrived at my home studio in Toronto (The Millstream) with thirteen songs complete and ready to go. 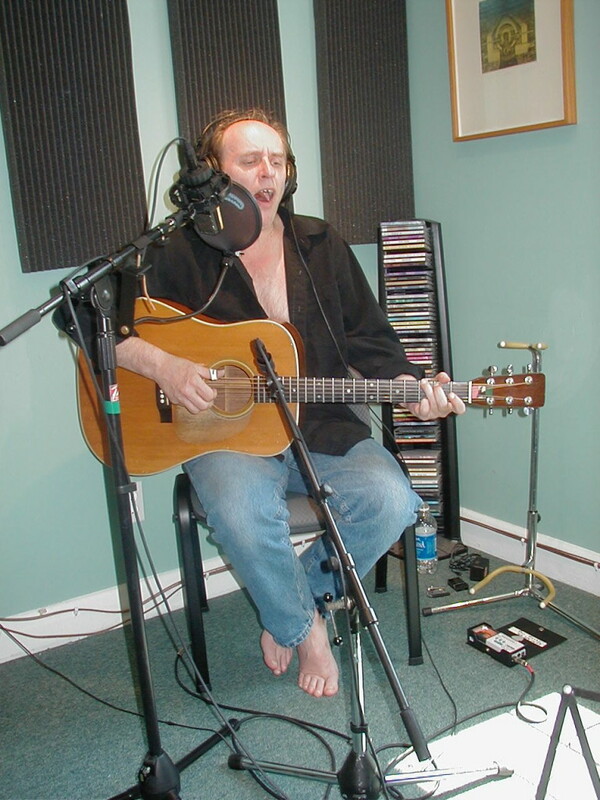 I often work with song writers on what we call “song polishing” – making little improvements here and there. I asked Ron if he wanted that kind of input from me but he said, “Nope, these songs are finished.” The confidence of a master craftsman! We worked on arrangements together and brought in a drummer (Al Cross) and a bassist (David Woodhead) to lay down the basic bed tracks. Once these were done, Ron went back to Newfoundland. I wanted him to stick around as we added the other instruments but he said no, he trusted me. This was most unusual for me because I always work with artists in a collaborative fashion, making sure that they are happy with each thing we add. Not having Ron here for these overdub sessions made me very nervous indeed but Ron insisted. 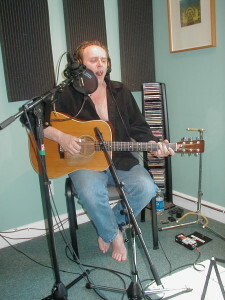 The overdub sessions went ahead without Ron during December of 2002 and January of 2003. We added electric guitar, banjo, keyboards, steel, dobro, and strings. Jenny Whiteley and Sylvia Tyson added some backup vocals and I did rough mixes of everything. I sent the mixes off to Ron and nervously awaited his reaction. A few days later the phone rang and it was Ron. I nervously awaited an angry voice screaming “What have you done to my songs!” but instead I got three words: “I love everything!”. Whew!! Actually there was one guitar lick he wanted changed but that was it. “Get Back Change” came out during the summer of 2003 and went on to win “Record of the Year” and “Country Record of the Year” at the East Coast Music Awards in 2004! From that auspicious beginning, I was privileged to work with Ron on his next two projects. 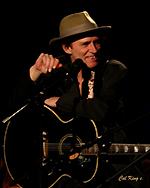 The self-titled “Ron Hynes” was also an ECMA winner and, among other things, chronicled his victory over drug addiction. 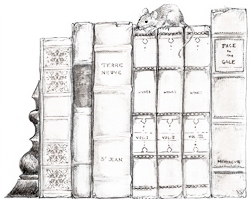 The latest record, “Stealing Genius” featured a collection of wonderful new songs inspired by or written with the best of Newfoundland’s authors and poets. With each project, Ron and I have become even better collaborators and closer as friends. He is a total pro in the studio and unswerving in his commitment to the songs and delivering his best possible performance. 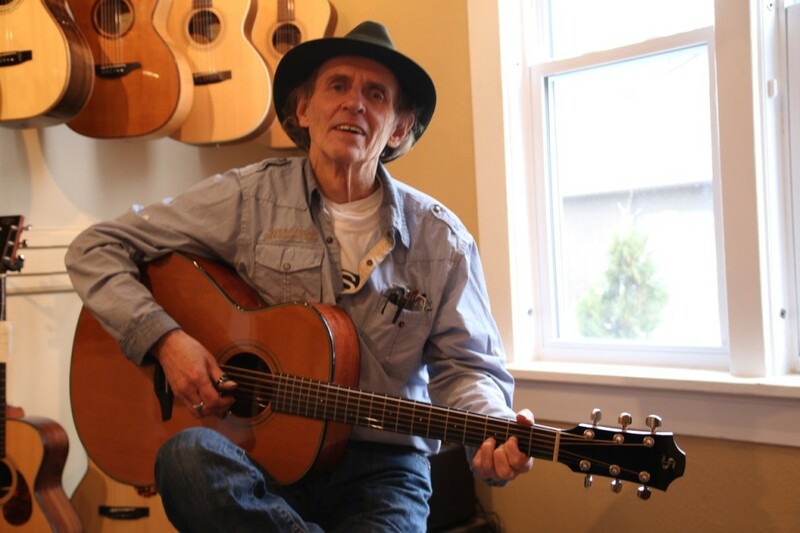 So three records down the road, it’s indeed been a privilege to have had the opportunity to work with a singer and song writer of the calibre of Ron Hynes. As I said at the outset, it doesn’t get much better than this.